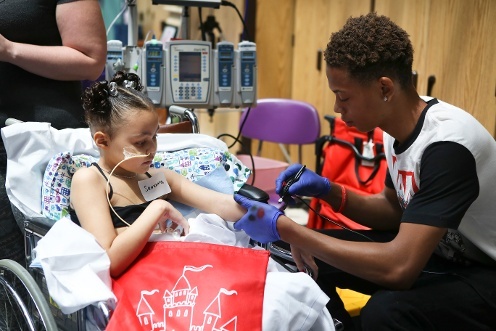 A Princess and Knight Royal Celebration on Aug. 6 created lots of smiles while pampering our patients and their families. Kay Jewelers, which is headquartered in Fairlawn, showed its generosity as it sponsored the 2nd annual carnival, offering everyone a fun distraction from the hard work of recovery. 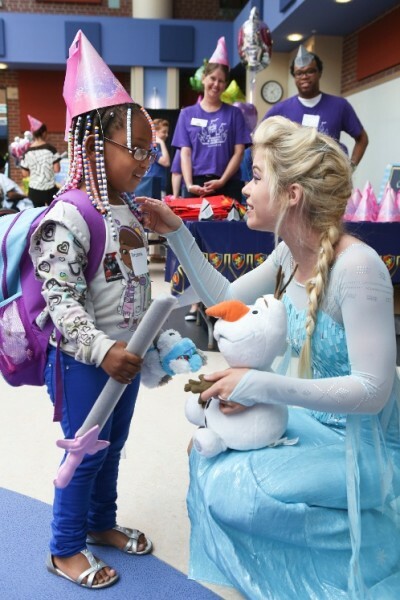 Even Queen Elsa stopped by for the royal celebration, much to the delight of our patients. 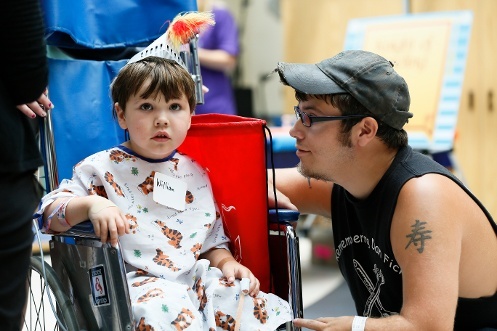 Adorned in princess hats and knight helmets, patients enjoyed everything from games like mini-croquet, bowling, tic-tac-toe and spin the wheel to a craft area where they were able to decorate swords and shields, pose for a caricature artist, get their faces painted or just be silly in a photo booth. Members of the Kay Jewelers Field Support Center and Diversity Leadership Team managed stations in the Emily Welty Cooper Expressive Therapy Center, as well as in the 3rd floor atrium connector. Those who were too sick to attend had goodie bags filled with foam swords and stuffed animals delivered to their rooms. 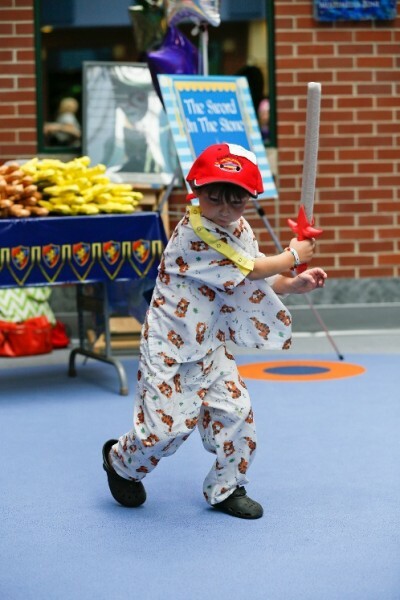 William had fun playing games and channeling his inner knight before being discharged. “It’s awesome,” said Laurel Hester, whose 4-year-old son, William, was thrilled to attend and take part in the games. “It got him walking out of bed because he was so excited. He actually gets to go home today because he walked!” Patients and their families weren’t the only ones having a good time. Codey, 5, concentrated hard while practicing his sword fighting skills. 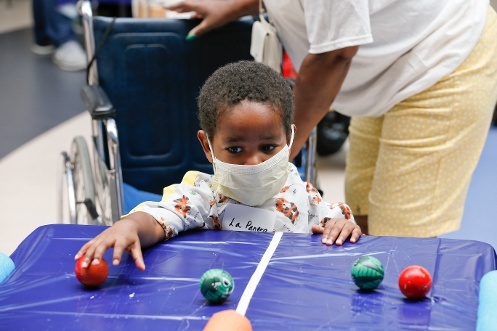 Patients were able to “bowl” at the carnival for a chance to win fun prizes. Kay Jewelers has been a strong supporter of Akron Children’s Hospital since 1988, and has sponsored many fundraisers and corporate alliances. Most recently was its $10 million gift to name the hospital’s newest building, the Kay Jewelers Pavilion, which opened in May and houses the emergency department, outpatient surgery center and neonatal intensive care unit. Samara, 8, really enjoyed the airbrushed sparkle tattoo she got from the henna station.